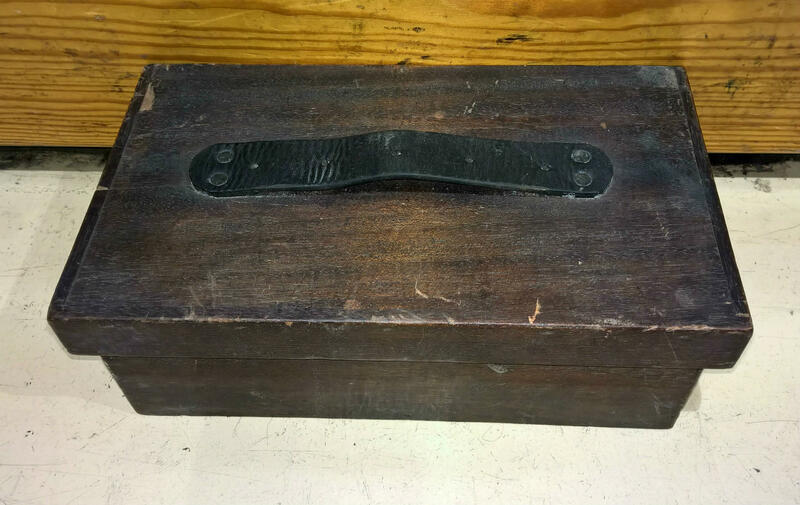 Sometimes you just never know 'what's in the box' and this small unassuming wooden box certainly reveals an unexpected surprise. 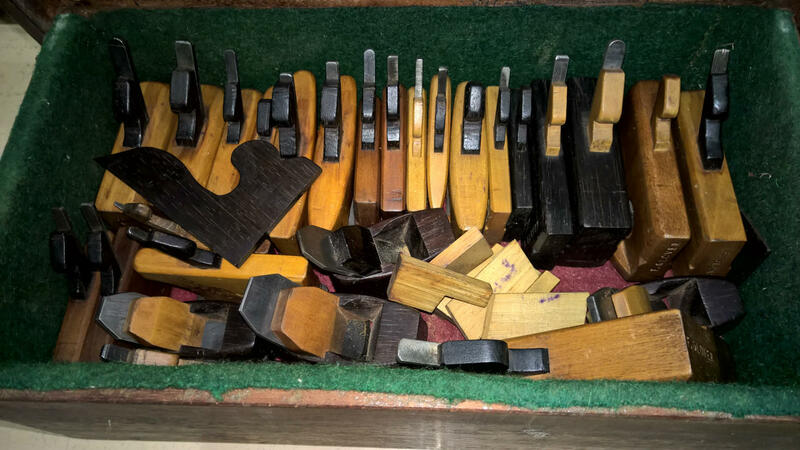 Packed full with 27 rosewood and boxwood planes plus a few squares and templates. 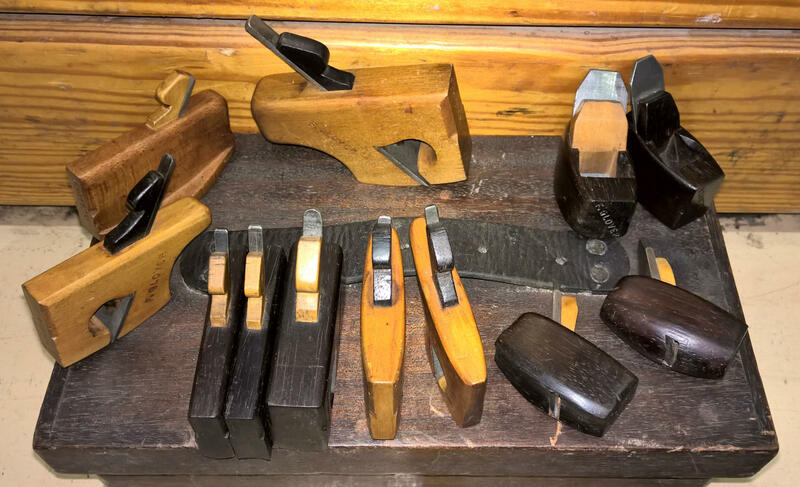 All apparently produced by the same craftsman. 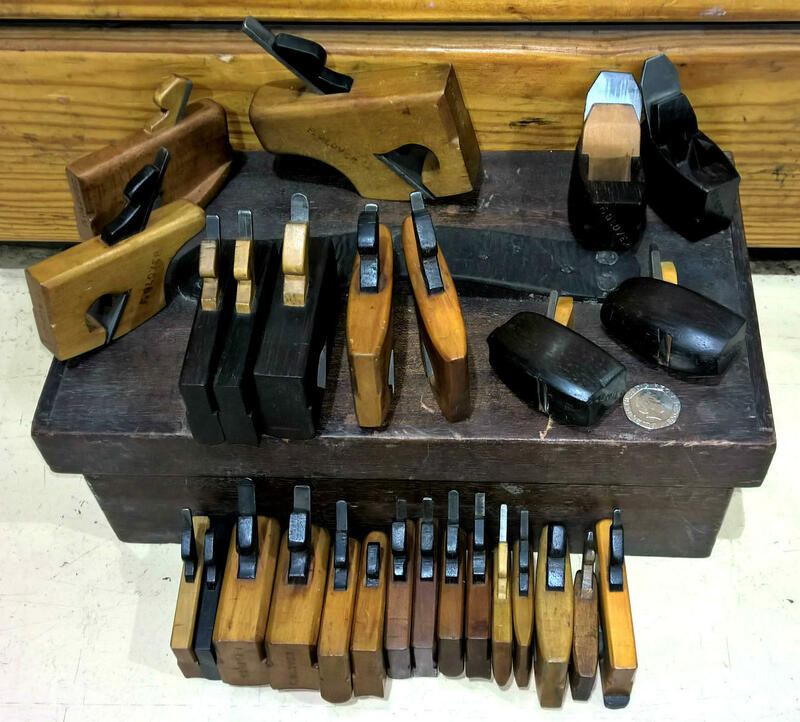 There are pairs of hollows and rounds, smoothers plus tailed and compassed rebate and t-rebate planes. Very similar to the coachmakers' planes that appear reasonably regularly but these are the first we have seen on such a miniature scale. Produced in a mixture of dark rosewood, boxwood and ebony, making the most of the contrasting colours. A fantastic 'one off' group from a private collection.